If you're shopping for a new home, you need to know how much home you actually can afford — understanding your limits will help you to focus your home search on properties within the correct price range, even before you apply for a mortgage. You'd think this would involve a complicated calculation involving several years' worth of tax returns, and possibly an advanced degree in economics. But in fact, learning your home-buying limits takes just a couple of minutes and some easy math. The most important factor that lenders use as a rule of thumb for how much you can borrow is your debt-to-income ratio, which determines how much of your income is needed to pay your debt obligations, such as your mortgage, your credit card payments, and your student loans. Lenders typically want no more than 28% of your gross (i.e., before tax) monthly income to go toward your housing expenses, including your mortgage payment, property taxes, and insurance. Once you add in monthly payments on other debt, the total shouldn't exceed 36% of your gross income. This is called "the mortgage rule of thumb," or sometimes "the rule of 28/36." If your debt-to-income ratio exceeds these limits on a house you're considering buying, then you may not be able to get a loan, or you may have to pay a higher interest rate. As I said, this is easy to calculate. The first thing you need to do is determine your gross monthly income — your income before taxes and other expenses are deducted. If you are married and will be applying for the loan together, you should add together both your incomes. This means that your mortgage, taxes and insurance payments can't exceed $1,960 per month, and your total monthly debt payments should be no more than $2,520, mortgage payment included. Unfortunately, you need to keep your monthly payments under both of these limits. So the next step is to see what effect your other debts have. Add up your total monthly non-mortgage debt payments, such as monthly credit card or car payments. Since in this example you have relatively high non-mortgage debt, you're limited to spending $1,570 on a mortgage, taxes, and insurance for a new home. If, on the other hand, you had only $500 in non-mortgage monthly debt payments, you could spend the full $1,960 on your home, since $1,960 + $500 = $2,460 (or less than your overall monthly payment limit of $2,520). It is important to remember that just because the bank will lend up to that amount, you shouldn't necessarily borrow that much money. This is simply a guideline you can use when shopping for a home, so you can concentrate on homes that are within your price range. 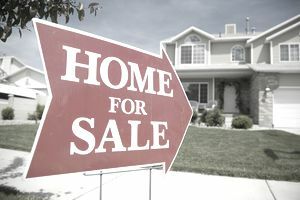 In reality, your specific financial situation will dictate what type of home and mortgage payment will be best for you.